The concept of an early retirement sounds great in theory: reducing the working years to spend more time relaxing and enjoying not having to rush off to work each morning. But in reality, whilst we do have more time to enjoy retirement, we also have less time to build wealth or prepare for our retirement. Early retirement planning is just like conventional retirement planning with one major exception being: TIME. The traditional retirement timeframe is around 30 years but for those planning an early retirement the time frame can extend to 40 or 50 years. This means that not only do you have a shorter time frame to achieve your financial goals and financial independence; in addition you will have more time that your money will need to last after retiring. Most traditional retirement planning strategies focus on the concept of long-term investing, regular savings and the power of compounding to help build wealth. By choosing to retire early and reduce the time frame for investment, investors lose the magic that compound growth can have on building wealth. Without compounding growth on their side, investors can be tempted to invest in higher growth assets and borrow large amounts to leverage their investment. Both these strategies can expose investors to much more risk. Inflation becomes a big concern for the early retiree. A dollar today doesn’t equal a dollar tomorrow, or in ten years for that matter. An early retiree needs to focus on investment returns that keep pace with inflation. If the real return of their investments after tax doesn’t keep up with inflation, their asset base may quickly erode. An early retiree may not be able to access their superannuation savings until age 55-60 depending on their year of birth. In some cases an “unrestricted non-preserved” component may be withdrawn early, but for the typical early retiree their superannuation will remain locked until reaching preservation age. This means an early retiree may need to build wealth outside superannuation and miss out on the low-tax rate offered in superannuation. Early retirees will not be eligible for Social Security (the Age Pension) for a longer period and will need to fund their own retirement longer. With the Age Pension age gradually increasing to age 70 this means that many early retirees will need to be self-reliant for a period of up to 30 or 40 years. Early retirement requires a lifestyle. We may all picture our early retirement days as ones filled with golf and tennis, reading, travel and socialising, but the fact is that early retirement will not be viable or rewarding if you don’t plan for freedom, flexibility and recreation. It also won’t happen if we fail to have a plan in place for how our retirement income can support our goals. For some, early retirement can quickly lead to boredom. 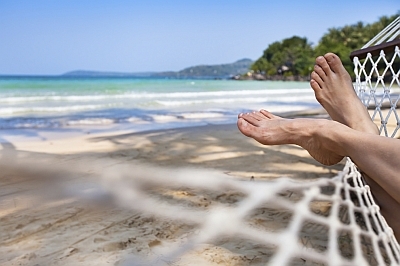 It’s important to remember that retirement doesn’t have to be a line in the sand in terms of working and non-working. Many retirees opt for a transition to retirement by reducing work hours, engaging in part-time or casual work, volunteering and mentoring others.